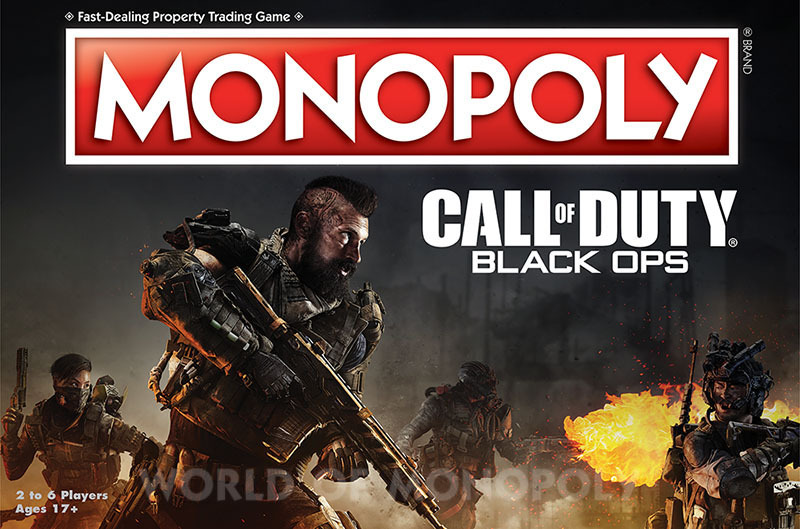 We're bringing the thrills of the popular first person shooter video game to the table top in MONOPOLY®: Call of Duty® Black Ops. Buy, sell, and trade your favorite maps, playing as one of six collectible metal tokens featuring memorable items from the franchise. 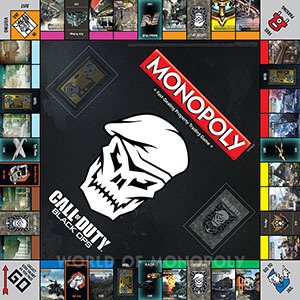 Includes 6 collectible tokens fashioned after recognizable items from the series. 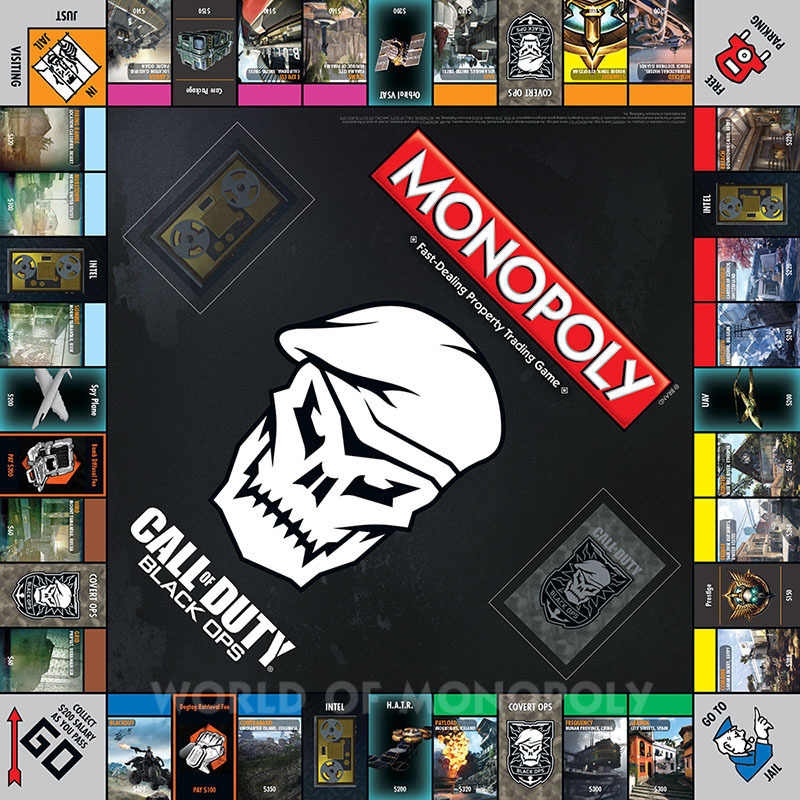 Uses some of your favorite multiplayer maps from Black Ops 1 to 4. 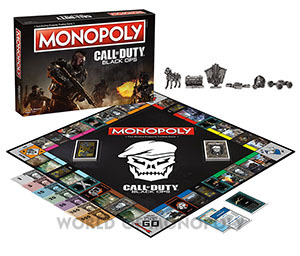 Features Covert Ops and Intel Cards that can give players a competitive edge, or a disadvantage. 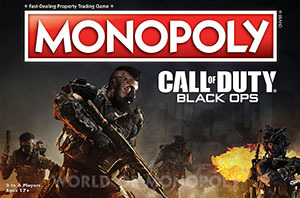 Houses and Hotels are replaced by Command Centers and Headquarters. 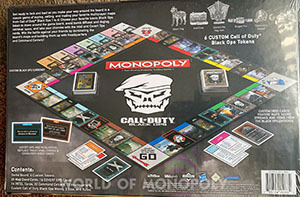 Custom Call of Duty Black Ops Money.